In collaboration with conservator Dr. Susan L. Buck, VIVID VIEW exhibits photographed paint samples from historic houses throughout Virginia. Intersecting historical style with modern science, these microscopic views into cross-sections of historical paint layers reveal macroscopic trends. Colorful, abstracted images showcase historical paint as a prominent element of interior design, dictating how historical actors lived in, re-adapted, and reflected fashionable period taste. These colorful images of history convey practical, present-day implications for interpretation, dating, and insight into eighteenth-century buildings and interiors. Featuring paint samples from 13 historic sites both private and public, VIVID VIEW blurs the poles of art and science and highlights the latest efforts in historical preservation by revealing paint as an influential element in how we decorate and who we are. If you are unable to come to Wilton in person to see Vivid View, please explore the digital exhibition here. Call 804-282-5936 Ext. 4 to make reservations or purchase your tickets below. 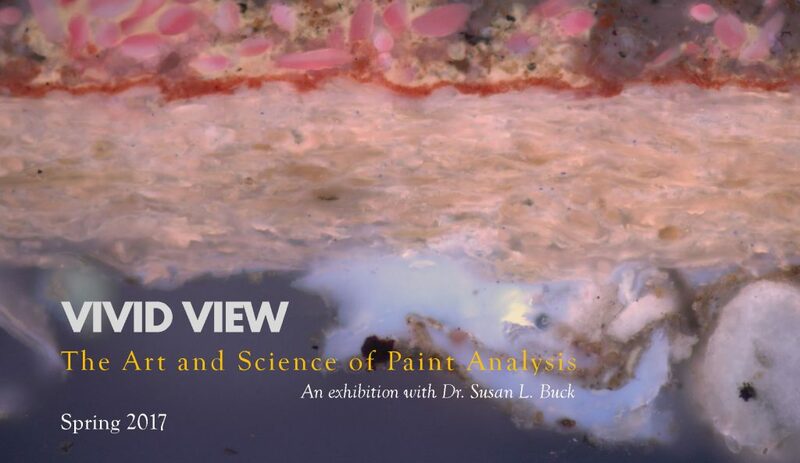 Join us this summer for coffee with the preservation and curatorial experts from historic sites featured in our exhibition VIVID VIEW: The Art and Science of Paint Analysis and discover their latest restoration initiatives. Illustrated talks explore the physical evidence and review the curatorial process followed by a panel conversation with those in attendance. Optional exhibition tours follow. Reservations Recommended/$15 ea. or register for all three for $40 HERE. Enjoy a first look at the on-going restoration of Stratford Hall’s Dining Room to its early nineteenth century appearance including re-installation of the original Federal era woodwork. Immersive exploration of the transformative restoration of James and Dolley Madison’s sophisticated Drawing Room. Discover the evidence and reasoning behind the most recent interior restoration efforts of Thomas Jefferson’s bedchamber and study. School’s out for the summer, but there is still a place the young student in your home can learn and have a good time. Bring the family by for a tour of the historic house, geared for elementary and middle school aged children, followed by a special activity related to Wilton’s current exhibition, VIVID VIEW: The Art and Science of Paint Analysis. Create your own miniature room. Explore the historic house to find inspiration for your own miniature room. After taking a special tour of Wilton’s current exhibition and learning about the importance of paint create your own masterpiece. Learn some of the basics of painting a still life in order to create your own work of art. Paint doesn’t make itself. Create some color of your own by extracting pigments from other resources in order to mix and make your perfect color. Thursday, September 14, 2017; 6 p.m. – 8 p.m. Explore the hidden world of materials beneath the surface of fine art to discover what they can tell us about the history and hidden meaning of works of fine and decorative arts.